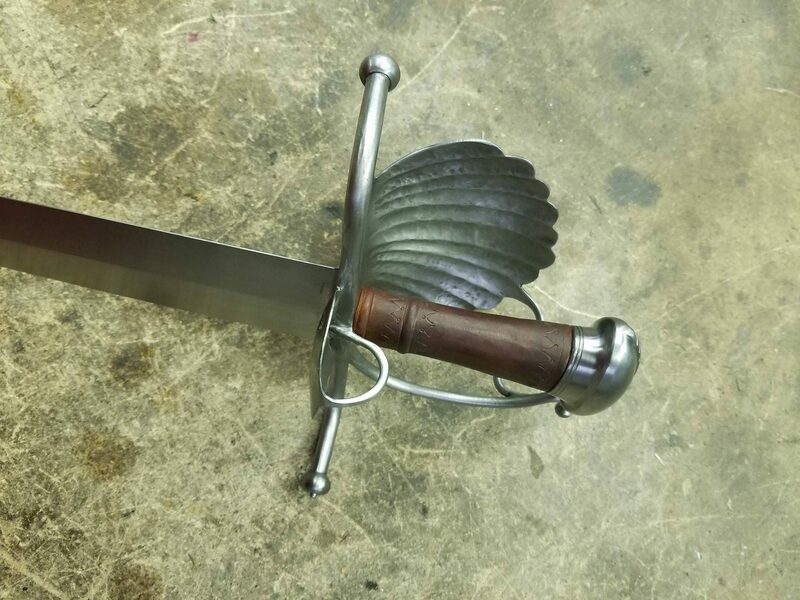 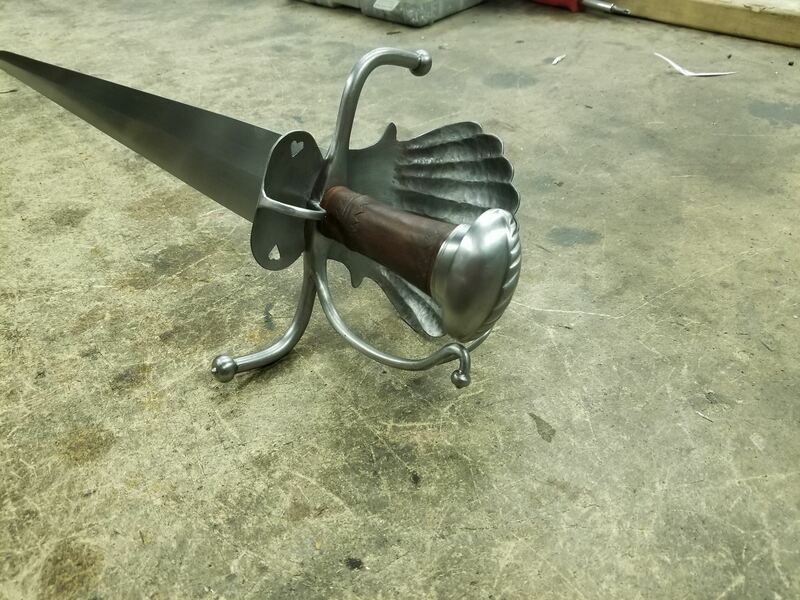 This is a Dussack-style shell hilt with historical design elements incorporated from a few examples suggested by the customer. 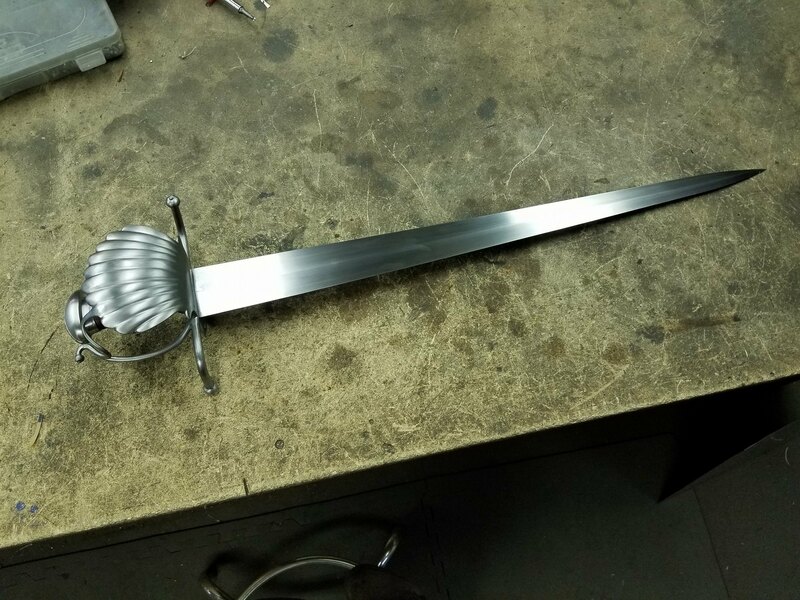 The blade was also provided by the customer. 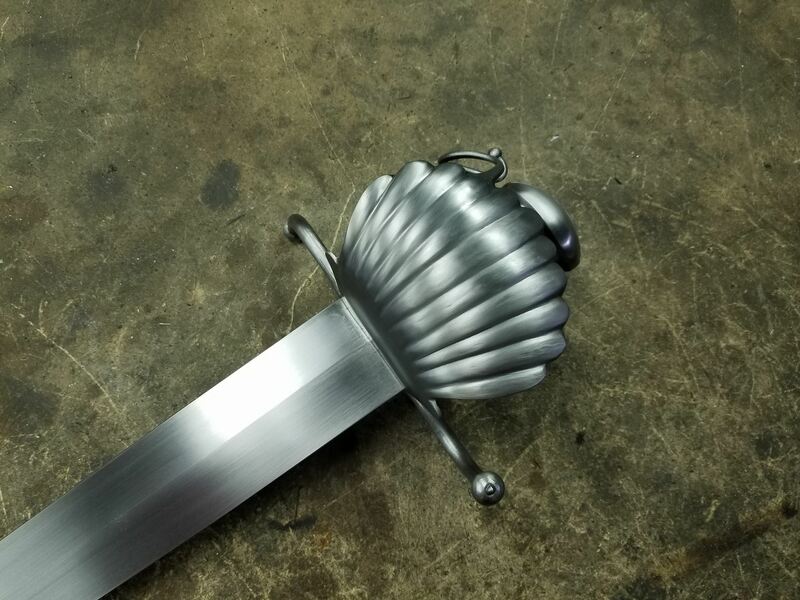 The overall length is 33 1/4″ and weighs just under 3lbs (1338g).